The historic lighthouse in Annapolis Royal, Nova Scotia, is located in the heart of one of Canada's largest National Historic Districts. It was built in 1889 on the site of the old Government House (the residence of the garrison engineer) which burned in 1833. The light is shown at an elevation of 30 feet (9.1 m) from a white square tower, 28 feet (8.5 m) high, situated on the main street. It continues to be a functioning lighthouse, with a heat-sensor light that comes on at night and goes off during the day. It shines brightly only about 90 miles away from the half-way mark between the equator and the North Pole. 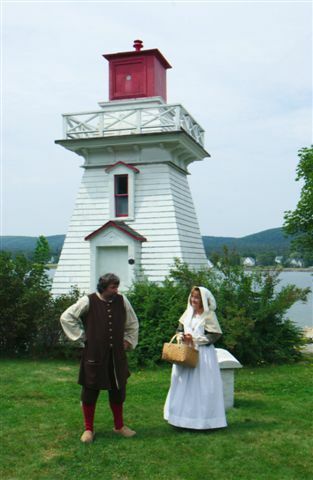 The Annapolis Royal lighthouse is owned and operated by The Historical Association of Annapolis Royal and serves as the headquarters for their award-winning National Historic District and Acadian Heritage tours.